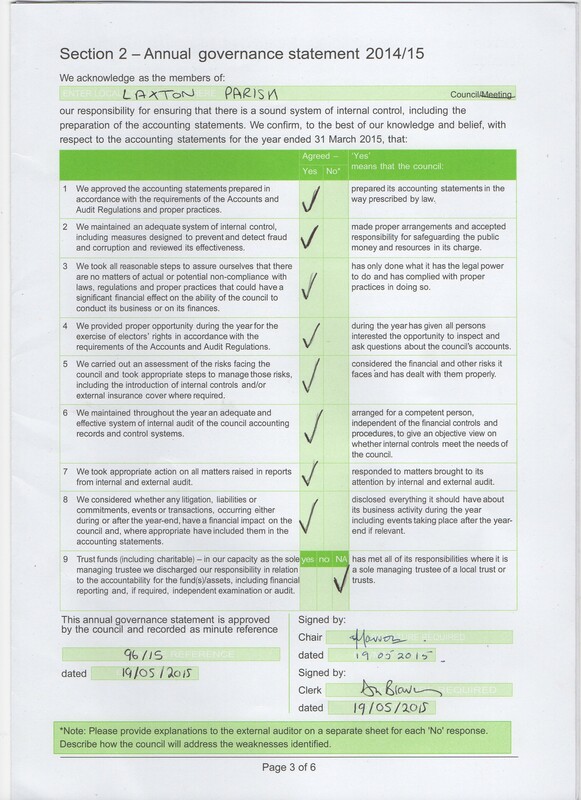 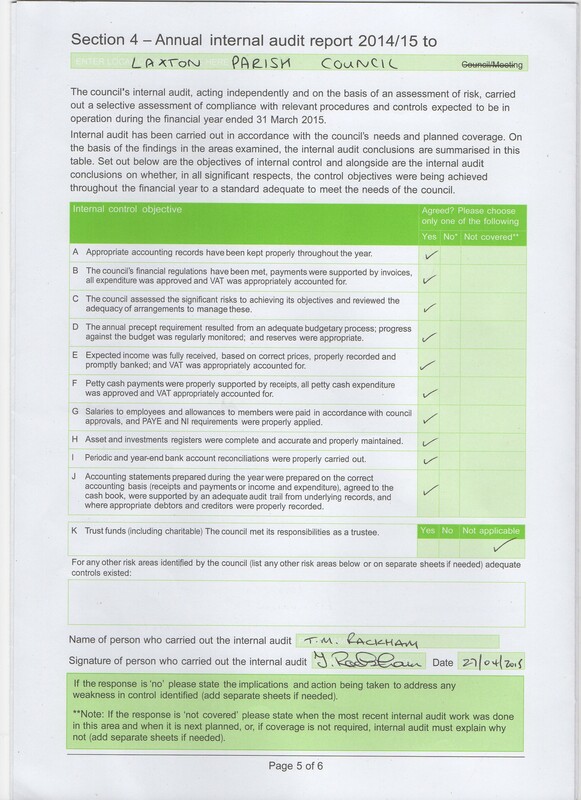 Each year an accredited auditor assesses Laxton Parish Council's accounts and governance. 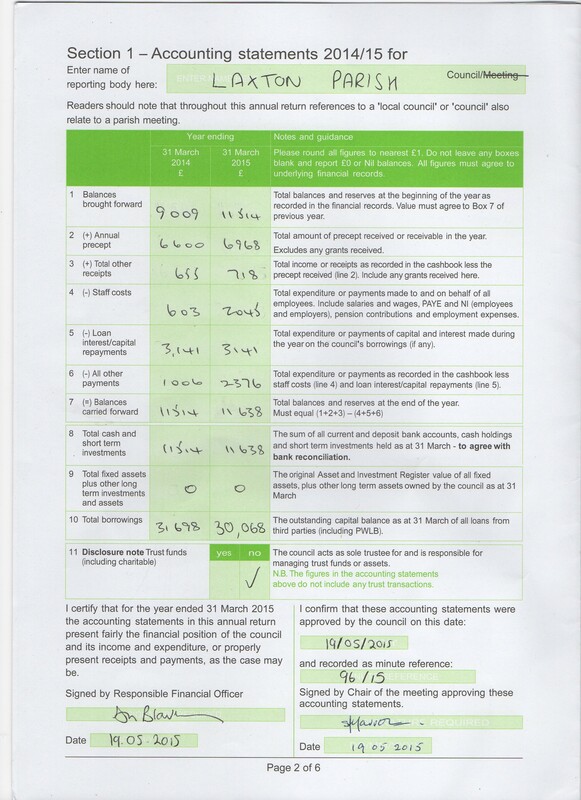 A Government appointed auditor also assesses the Council's Annual Return. 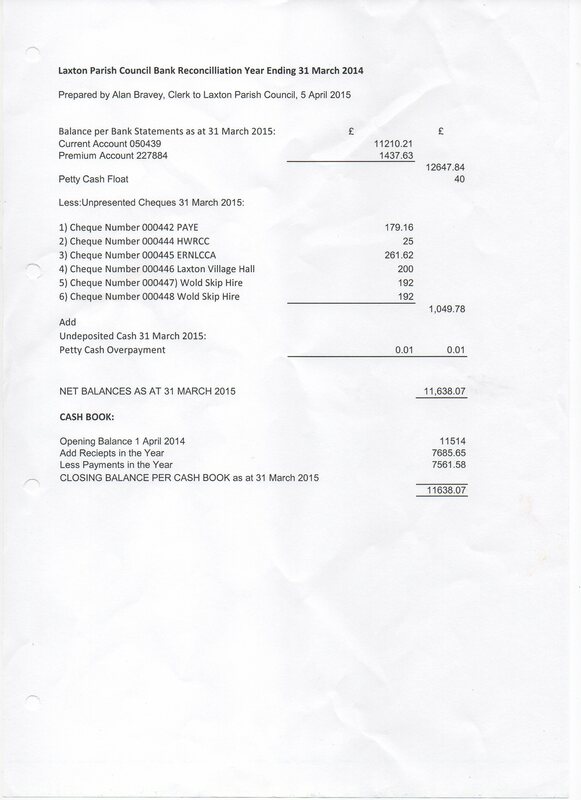 You can see the auditor returns listed below. 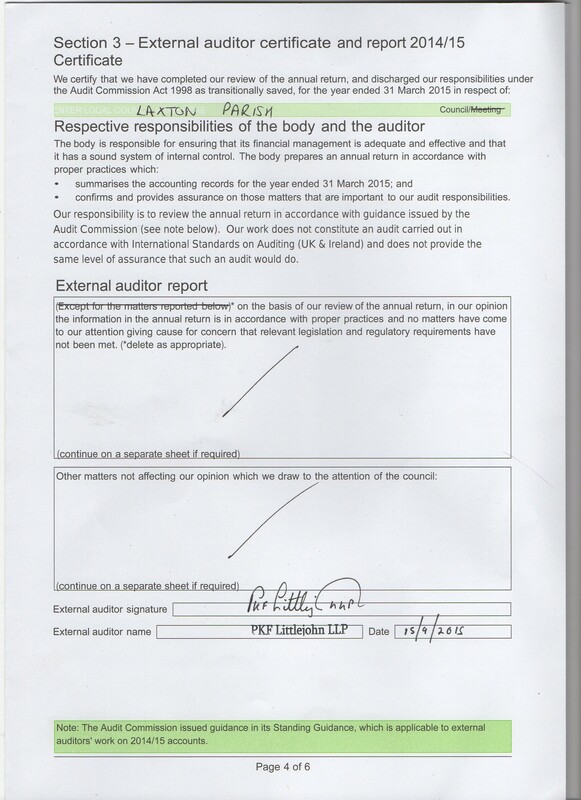 2014/15 Internal and External Audit Returns - Section1, Section 2, Section 3, Section 4, Bank Reconciliation.